Presently, VOIP and video calls are trending. Socializing with friends is nothing new, although technologies of conveying keeps on changing. To experience better connectivity and socialize to the fullest, it is quite crucial to have the latest technology adapted. 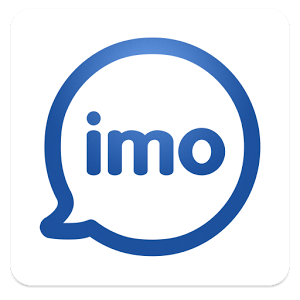 IMO is an instant messaging application, similar to WhatsApp and Line; this app is quite in buzz due to its feature of free voice calls and video calling facility. It is cross platform and available on Android and iOS. Initially IMO emerged as web app, where users were allowed to sign up using Facebook or google plus. To get started with the app, you will first need to download it. It is a free app available on Google play store. To avail with the services, signup will be required. This is quite simple and will require a cell number. If you are thinking of using downloading IMO on PC, then slow down as you can only register using a mobile app, after which you can access the web version of the application. When installed on a device, it will automatically read all the phone contacts. The contacts who are on the network will be listed in the contacts section. Interface of the application is light and well built. The options are very well distributed all along the interface, of which front screen consist chats. Chat screen list all the previous chats, although it is the only application where chats are never lost. All the chats are stored onto their servers, which can be retrieved by simple scrolling up to the chats. Contacts screen consist of the list of all the available contacts, which are already registered with the network. Screen popup forms an astonishing part of the interface, where when a messages is received a popup message will be displayed saying “message from” followed by the contact name; this looks quite good and cannot be disabled anyhow. There are no as such least requirements for running this application on your device. It can run on RAM as low as 256 MB, however when tested on a low end phone connected to a fair speed network connection, messages won’t pop automatically when sent; however when it was tested on high end mobile device, the messages were almost instantly delivering and receiving. Talking about the voice calls, the quality was excellent as compared to other VOIP messengers including WhatsApp, LINE, etc. Voice call worked fairly on a Wifi connection of 2MbPS. However video calls were quite laggy and were found to deliver low quality. The quality can also be dependent on the camera performance. Users can make high quality video calls flawlessly with this application. Through certain encryption processes, it offers favourable privacy for the calls and chats that users carry and make. Users can find stickers and funny animated characters which usually found helpful in order to enchant their texts. Video calling between you and the one sitting next to their phone will not create delay but it will be real time basis communication. As it is an instant messaging application, it requires internet connection to get access. Less number of active users. Doesn’t work properly on low end devices.